Vigil - Saturday 30th. at 6.30p.m. Monday 25th. Feast of The Annunciation of Our Lord . Anastatia Fitzpatrick (nee Walsh), Ballyhale; who died during the week. James Duggan, Boolyglass: Mass in Hugginstown Church on Saturday 23rd. March at 8.00p.m. In Stoneyford Church on Saturday 30th. March at 6.30p.m. - Betty McCarthy, Knockdrinna. In Stoneyford Church on Saturday 30th. March at 6.30p.m. - Bridget McCarthy, Knockdrinna. It is proposed that the Parishes of Aghaviller, Ballyhale and Mullinavat will form one of the fourteen Pastoral Areas of the Diocese. Bishop Dermot Farrell will visit each Pastoral Area during Lent for consultation. Meeting of the three Parish Pastoral Councils and Parish Finance Committees will take place in Ballyhale Hall on Wednesday 27th. March at 8.00p.m. All members are invited to attend. Congratulations to Luke Thomas Gibbons, Sheepstown and his parents Debbie and Rory. Luke was baptised in Hugginstown Church on Saturday 16th. March. The Family Masses in preparation for First Holy Communion will be celebrated on Saturday 23rd. March in Stoneyford Church and on Sunday 24th. March in Hugginstown Church. Lenten Station Masses will take place on Saturday 23rd. March in Stoneyford Church at 6.30p.m. and in Hugginstown Church on Sunday 24th. March at 11.15a.m. Envelopes for the Lenten Station Contribution are available in the Church. Report from the Parish Representatives on the Southern Deanery Pastoral Council. Safeguarding: Garda Vetting and putting all documentation in order. Insurance: High Insurance on Protected Buildings?. Our Pastoral Area? : Meeting on Wednesday 27th. March at 8.00p.m. in Ballyhale Hall. Perhaps there have been times when we saw ourselves like the tree in the parable!! useless, merely a waste of space, unable to achieve what we wanted. Think of friends who came to us at such a time, people who saw our potential and were prepared to give us another chance, people who also dug the soil around us and gave us the help we needed to grow. Perhaps in our turn we have been able to do this for others. 23rd. and 24th. March 2019. 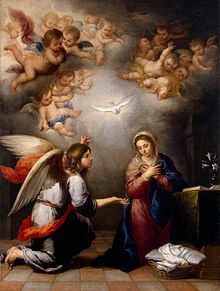 Feast of The Annunciation of Our Lord. Vigil – Saturday 30th. at 6.30p.m. In Stoneyford Church on Saturday 30th. March at 6.30p.m. – Betty McCarthy, Knockdrinna. In Stoneyford Church on Saturday 30th. March at 6.30p.m. – Bridget McCarthy, Knockdrinna.